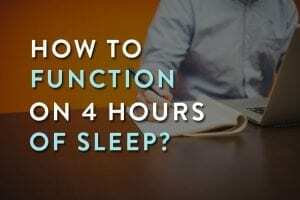 On average, a normal human being spends one-third of his life sleeping. But finding the right mattress is a real struggle. Usually you’ll start thinking about a new mattress when you realise your sleeping is becoming disrupted because your bed or mattress is uncomfortable. Maybe your mattress has springs poking through or big hollows that you sink into. Maybe your partner keeps rolling on top of you and waking you up. Or maybe you have a new partner! Maybe you just want a change to help you feel fresher in the morning. Maybe it’s part of a whole lifestyle review. Maybe you can see lumps and bumps and tears in the fabric of the mattress. 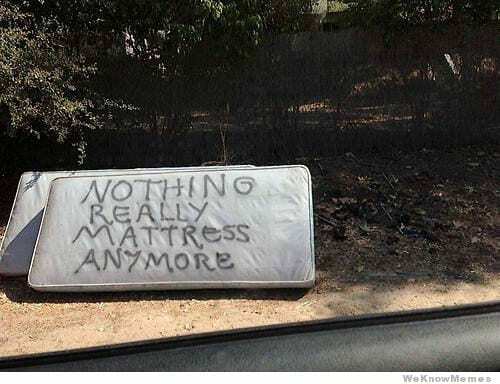 All mattresses wear out eventually. As does everything man made! Expensive mattresses don’t always mean perfect mattress. Similarly, cheap mattresses can’t be labelled as worst mattresses. It all boils down to your personal preferences and usage. Choosing the right mattress type is essential. If you sleep hot and buy a memory foam mattress, you’ve destroyed your sleep. Similarly, if you suffer from back pain and buy a mattress that is too firm, you are close to turning your nights into worst nightmares. Here are some mattress types for you to find the right one for yourself. Top of the range in terms of mattresses these days are the Hybrid. 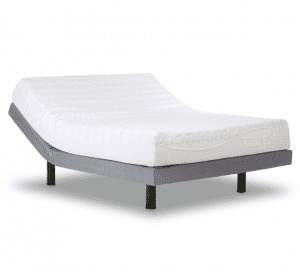 Constructed from a combination of latex, memory, polyurethane foams, coils, and / or other materials, these mattresses provide a combination of approaches using the best of each of the material used. Typically the materials are layered horizontally. For example, a latex base will give good support and a memory foam layer will give good pressure relief. These are foam mattresses, often using several layered densities of foam – a strong support foam base layer then a thinner top layer which is a little softer. They give comfort, bounce and cooling but they may have a limited lifespan. Latex mattress are good for people who sleep hot as they have greater breathability and enhanced airflow. Sitting on top of a layer of support foam, you’ll find a layer of memory foam, a mattress like this will give you a hug: good for pressure relief and body contouring. Memory foam used to have a reputation for making sleepers hot but more modern materials are helping get round this problem. Also called “inner spring”, these mattresses use metal springs to give support. There are often several layers to the springs – a firm solid base, then more responsive springs for the top layer. The larger the number of coils the better the comfort and support. For sleepers who want a more traditional coil / spring feel with great bounce, cooling and strong edge support. Usually on top of a coil mattress, a layer of soft material is sewn on to or in to top layer to add extra comfort and cushion. You’ll feel like you’re sleeping on a cloud. Some beds can be configured to provide different levels of support on one side than the other. This is useful if one partner is significantly lighter than the other. It comprises 2 separate structures seamlessly zipped together. This is more possible with hybrid and latex based mattresses. 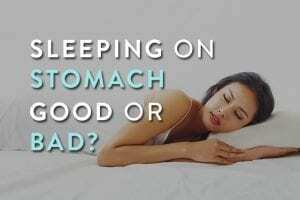 Do you sleep on your side, back or stomach? Or a combination sleeper. This is something that most people ignore when buying a mattress. And then end up sleeping on a bed that hurts. Be pro-active and do your research before making a purchase. Every sleeping style demands a unique comfort level. 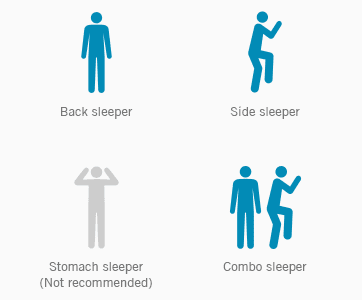 If you are a side sleeper, you need a mattress that perfectly contours to your body shape when lying on your side. So a mattress with soft-medium level firmness is good for you. If you buy a mattress that is too firm, it won’t adjust to your body shape and hurt. If you go for something too soft and cushy, you’ll end up drowning in it sleeping with a bad posture. If you sleep on your stomach, you need a mattress that supports your trunk. If your mattress is too soft, you will be sleeping in a posture with your spine curved resulting in lower back pain. It’s recommended that you get a mattress that is more on a firm side. Also, make sure you use the right pillow that is meant for stomach sleepers. This is really a combination of bed and mattress which offers the ability to change the sleeping position on the mattress. You can do this by elevating the feet and inclining the back. You can even add features to vibrate, heat or massage the sleeper. Think about this for certain medical conditions, older sleepers, snorers or people with chronic lower back pain. Over and above your mattress, think about what else you could add. You could buy a specialist mattress protector to wrap around your new purchase ensuring your investment remains clean and stain-free. You may also go for a memory foam mattress topper to go above the mattress and below the bed linen. This will add an extra layer of comfort and support. There are a growing number of online-based mattress providers who offer you a “risk-free trial” on their product, like Purple mattress. These services are springing up to supplement the traditional “high street” or “out of town” bricks and mortar retailers. This can be a good way to try a new mattress before make the full financial commitment. The business model here relies on the fact that people don’t like the hassle of a change. Once you settle in to the routine of using that mattress, you won’t want to change. Make sure you don’t need to invest in a new set of linen just to go with your trial. Watch for the small print as well. You have to take care of that loaner. There’s a lot to be said for having an extended trial of a mattress in the comfort of your own home, on your own bed-frame and with your own linen. Some people still prefer buying from stores instead of buying online. A good bed and/or mattress retailer knows the value of a trial “lie down”. It may seem weird to pretend to sleep in front of perfect strangers, but that’s the only way to do it. Besides, the staff expect it! You should be prepared to test several mattresses before you make a final decision. If you are buying a mattress to share, make sure you are both there and can clamber aboard together. Think about the position you normally sleep in and how frequently you think you move around. If you and your partner are built differently, you’ll need to bear that in mind when choosing. It is really quick to rule out some mattresses: they don’t feel right as soon as you lie on them. But getting the one which is “just right” takes a few more attempts. Relax, take your time, and don’t rush. Just make sure you wear comfortable, clean clothing and enjoy the experience. You won’t be doing this again for years! 5. Too Soft or Too Firm? 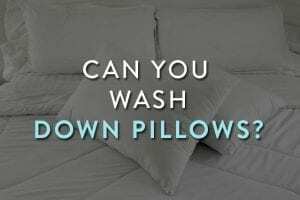 To help assess whether the mattress will be good for you, when you lie on the mattress in the showroom, push your hand under the small of your back. If there is a large gap, the mattress is too soft. No gap at all, then it’s too firm. If you can just about pass your hand through, it’s probably about right. You should expect your mattress to be changed every 8-10 years or so. There are exceptions to every guideline of course. 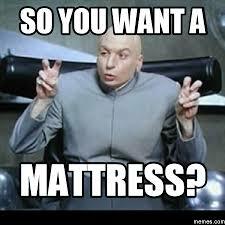 You may have a younger mattress that is worn out. 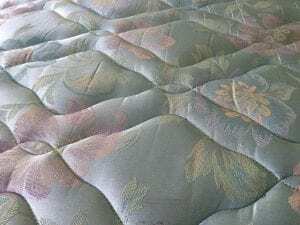 You may have an older mattress that will still last for years. You may have bought a cheap mattress that you expected to last for only a year or two anyway. A lot of this comes down to you! If you are light in weight, sleep on your own and rotate your mattress regularly you won’t be putting too much load on to the fabric. If you and your partner are both heavy, you will put more load on to the mattress you share and its life will be reduced. You may have changed your lifestyle dramatically within the life of your current mattress so that what used to work for you is no longer suitable. There may even be other health changes in your life which mean you need to opt for a softer or harder mattress. Or maybe you just moved house and you want to start all over again! In the end, only you can decide whether the time is right for a change. Don’t skimp. Spend what you can. You’ll spend a third of your life lying on that mattress. Make sure you can enjoy it.